The caste marker, particularly the Dalit identity, is still too loaded a theme for filmmakers in Mumbai. From the moment it was announced that Karan Johar’s Dharma Productions will adapt Nagraj Popatrao Manjule’s Marathi blockbuster Sairat, there was always going to be only one question about the film: will they deal with the ‘caste angle’? 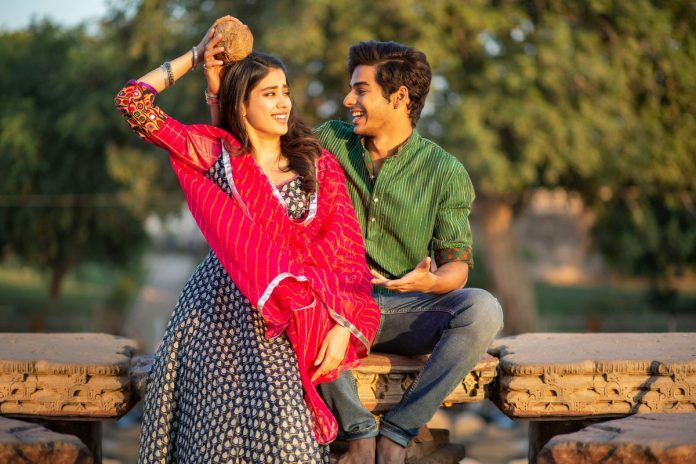 Director Shashank Khaitan’s Dhadak, the said adaptation, does deal with the ‘caste angle’, but only tangentially, keeping in with the Bollywood tradition of focusing on class to bypass uncomfortable questions of identity. Evidenced by his first two (fairly successful) films, Khaitan was always an unusual choice for the adaptation. He has shown a remarkable grasp on the pulse of the contemporary small-town youth but his filmmaking style, conventional Bollywood melodrama, too is aimed at the same audience, far removed from the more Netflix-consuming urban viewers. And that’s where the contradiction lies. Manjule’s biggest success in the much-loved Sairat, a standard Romeo-Juliet plot, wasn’t that he made a Dalit film. It was the sardonic treatment he brought to the heightened storytelling style that Bollywood has patented over several decades. For instance, Manjule’s employment of slow-motion shots to film the early courtship of Archie and Parshya, the lead protagonists, is actually a jibe at the narrative style Mumbai filmmakers generally prefer. Khaitan is one of them. So he brings everything to Dhadak: big-banners in Mumbai used for designed launchpads of star kids, in this case, Janhvi Kapoor and Ishaan Khatter. There are abs to be displayed, costumes to be paraded, havelis to be shown, dances to be danced, and a host of other allied activities. But he also has to stay ‘faithful’ to the text, which unfortunately for him, was by a Dalit filmmaker. So in this Udaipur-set film, as opposed to the original’s rural Maharashtra, there is a neechi-jaat (lower caste) boy and a Thakur (upper caste) girl. For some inexplicable reason, from time immemorial, Bollywood mostly finds characters from the Thakur community suitable to such plots, especially politically-inclined fort-owning ones. Here, Ratan Singh (Ashutosh Rana) rises to the task. He provides the story its ‘villain’ in the form of a father who won’t accept romance in his daughter Parthavi’s life, particularly with Madhukar, a lower caste boy, though he never explicitly mentions that. As the young lovers elope, much to the predictability in these plots including that of Sairat, Khaitan finds his grip on the story. Till then it’s all a requisite showreel of the two-star kids in mainstream ‘star acting’. Khaitan displays remarkable control when dealing with old-school elements like song picturisations. The title track and Vaara Re montages have their own unique rhythm. But then there is also the weary technique in other places, including Bollywood’s newfound love – drone-filmed establishing shots. Once the make-up is (relatively) off, and the life gets (slightly) difficult in a new city (Kolkata), there seems an attempt, within mainstream limitations, to somewhat probe the psychological state of two characters that are clearly not up for the life they accidentally end up choosing. A lot of it is straight from Sairat because no matter what the makers claim, this is a standard-affair remake. Courtesy his Dalit identity, Manjule managed to imbue a definite, simmering anger in Sairat, in a devastating indictment. His realistic approach to storytelling amplified the anger, so much so that the now-iconic last scene of the film gutted viewers in a way that felt novel. He left the viewers with a haunting image that not’s easily shaken off. Dhadak, with its permanently shiny and occasionally bleak exterior, is primarily made for an audience that doesn’t really know the existence of Sairat. So Khaitan has leeway, which he uses through the film. The film begins with a disclaimer that the makers don’t endorse honour killings. So there is a fair expectation that the ending, which was the entire point of buying the remake rights, will stay the same. But for that one scene, Khaitan subverts the expectation and crafts a scene that seems intended for Sairat fans. In a single long shot, Khaitan makes a thud that too will stun the audiences in silence. Briefly, even if for a scene, he finds his own voice. That voice, however, is not angry but grieving. Quite like Bollywood films in the same zone – Qayamat Se Qayamat Tak, Goliyon Ki Raasleela Ram-Leela, Ishaqzaade, among several others. As a standalone film, Dhadak is a largely engrossing, if somewhat tedious, film that works on convention and archetypes. Both Kapoor and Khatter, the mainstay of the production, are competent but chained by the derivative material. In the politically charged climate, though, Dhadak can only exist in the shadow of Sairat. And with the filmmaking on display here, Khaitan can’t really complain. The caste marker, particularly the Dalit identity, is still too loaded a theme for filmmakers in Mumbai. Unofficial censorship in India witnessed time and again, gives them a reasonable excuse to shy away from complex subjects. But with every opportunity squandered to face difficult questions about identity in a country as diverse as India, especially at a time when regional industries are challenging the establishment, the voices on the other side of the divide will only grow louder.